❌ Not Verified | The new airport is much better than the old but the issue with taxis remains. The military controls the airport and hence which taxis are used. No meters and extortionate fares. Better off walking 5 minutes south on road outside arrivals (right angle to airport terminal) and pickup a bluebird or AA cab from there. Clean and metered. Pity the Government does not stop in and do something about this as it is a horrible welcome to what is otherwise a friendly and interesting city and region. The new Bandung airport terminal is very different to the old terminal. Cleaner, more space, more shops, and more toilets. Less delays, good lounges, some of the shops like Starbucks are incomplete. Good terminal cleanliness. Overall, good but could use more luggage belts in the arrival terminal and more parking spaces. "doesn't look as bad as it used to be"
✅ Verified Review | I've come across old reviews of Bandung's Husein Sastranegara Airport and I have to say that the airport today doesn't look as bad as it used to be. The new terminal building is a welcome addition for an airport that handles nearly 90 flights a day. 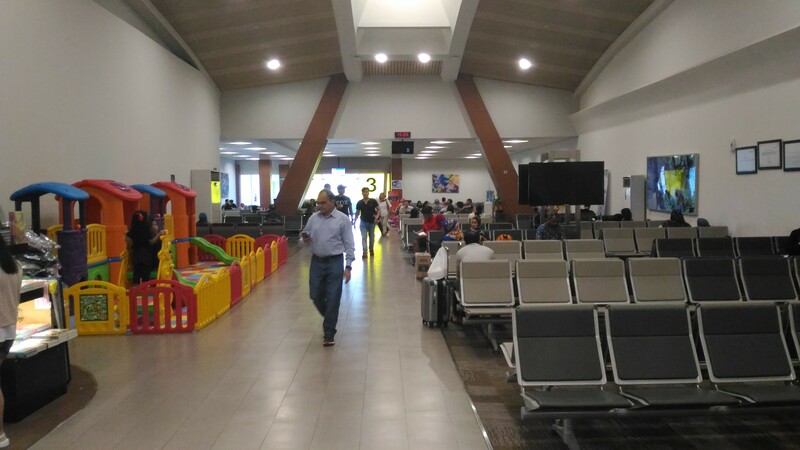 There is a security check for both international and domestic passengers before the check-in, and another one at the entrances to the international and domestic departure halls. Checks were quick and cleared the immigration checkpoint in less than a minute. Apparently most of the shops after the security area are in the domestic departure hall. 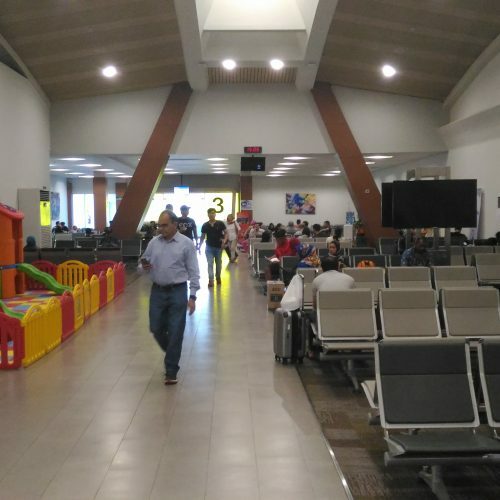 The new international departure hall consists of only one gate (Gate 3i), a tiny magazine stand, a kids playground and a food kiosk that looks more like a mini warehouse. There is free wi-fi to keep people occupied, charging points for mobile phones, as well as plenty of seats. Since there are few international flights the international departure area doesn't feel crowded. As the airport is tiny there are no aerobridges, so you have to walk to the plane rain or shine. While this can be annoying for some, it is pretty great for aviation enthusiasts (you can get really close to planes that are taxiing to the runway). Would be happy to use Bandung Airport again. Husein Sastranegara Airport in Bandung West Java Indonesia is very small and very narrow and does not deserve to be an international airport. Besides smaller and less clean toilets. The most severe and the entrance to the airport is very small and so is the waiting room is very small and result in chaos when passengers crowded. Besides the entrance to the plane and the stairs are very narrow so it is difficult to walk and the airport are very uncomfortable.